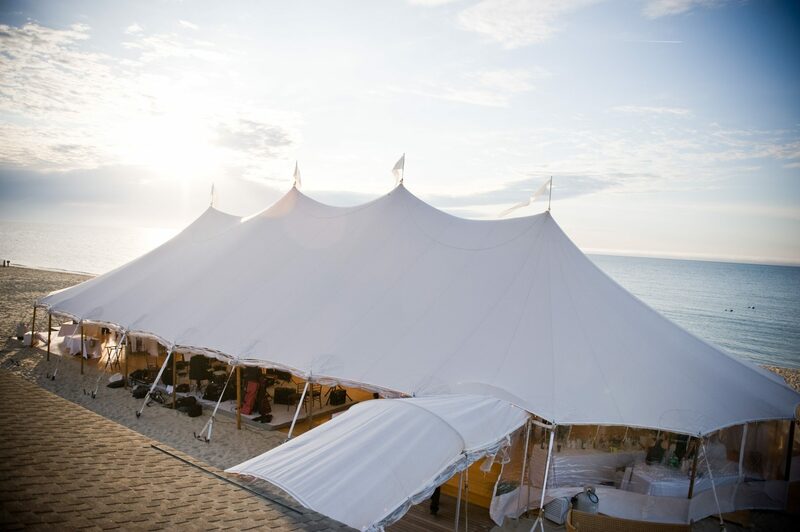 Sperry Tents Seacoast is the premier provider of exceptional service and products for the most important events in Seacoast New Hampshire, Northern Massachusetts and Southern Maine. Our tents, flooring and lighting are top-notch and – most importantly - our service and execution are unparalleled. Our attention to every detail of client events - anticipating their every need, before they do - is what sets us head-and-shoulders above the competition. The key differentiator of Sperry Tents Seacoast is our meticulous service and impeccable attention to every detail before, during, and after every event. No matter how exceptional a product may be – when it comes to events, the true test of success is in flawless execution. Like performance artists – the experience is what drives Sperry Tents Seacoast to be the best. 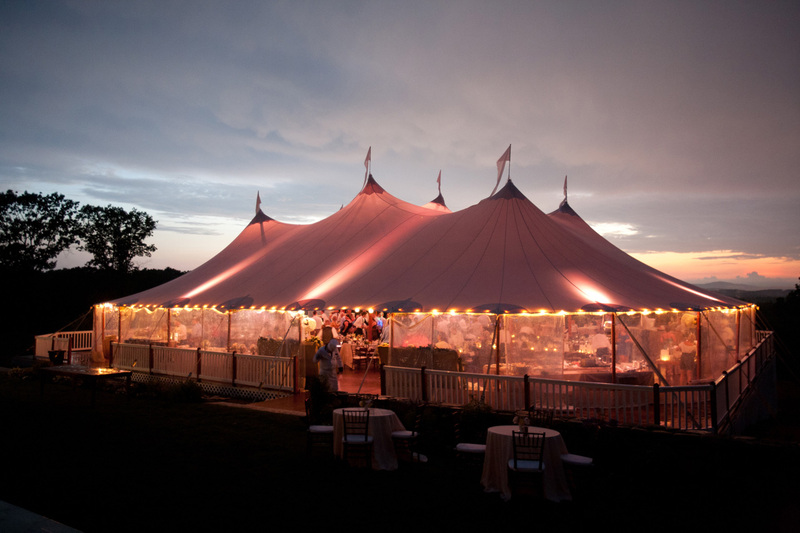 We offer hand-sewn sailcloth tents, crafted in the tradition of seafaring New England and fine custom fabrication to meet our clients discerning requirements. When you see a Sperry tent you immediately notice fine craftsmanship and a distinctive artisanal quality when it comes to materials, construction and design. No two tents are exactly alike – imparting a carefully crafted and thoughtfully created aesthetic that only we can deliver to the highest standard of production. We specialize in custom tents and one-of-a-kind events and it is our greatest satisfaction is in achieving what other companies see as impossible! Whether you are hosting an intimate wedding or a gala celebration for hundreds of guests – we can offer you expert consultation and guidance to ensure you have the perfect tent for the event. 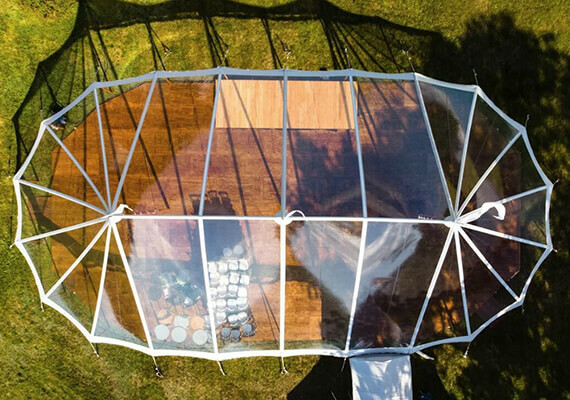 The experience is breathtaking when guests enter an event produced by Sperry Tents Seacoast. And a key element of this experience is thanks to our polished wood tent flooring. It is unlike any other flooring available on the market for outdoor events. Our clients are consistently delighted to see the cohesive design brought together by unifying every detail from fabric to lighting to floor. Handcrafted wood tent flooring is available in English chestnut, rustic barn board, varnished southern yellow pine or natural finish to complete your dream aesthetic – and the look of an outdoor ballroom. We are skilled at customizing beautiful wood floors for bandstand staging and dance floors to complete the venue you envision, down to the last detail. We also have the option of leveled flooring, which can elegantly cover pools, valleys, uneven terrain, or elevate an event for a spectacular view. 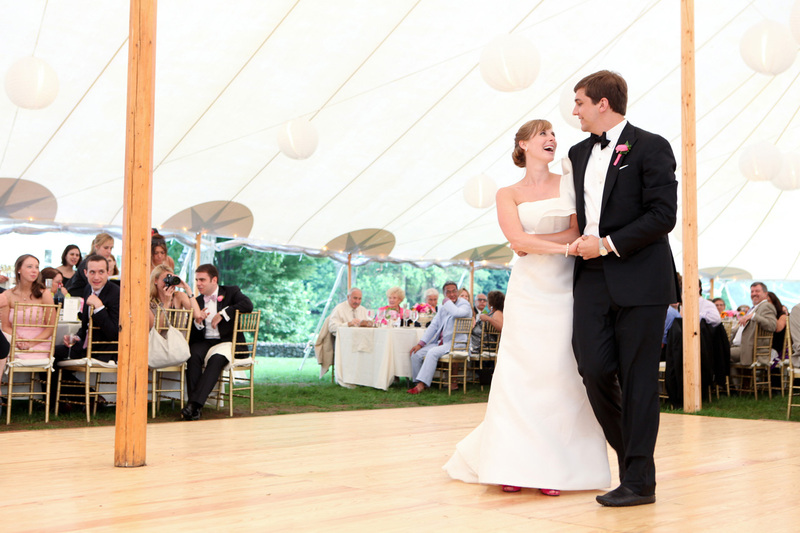 Skillfully pairing a Sperry sailcloth tent and a custom wood floor creates a truly unforgettable environment. Through showcasing a unique design style and impeccable taste that high-quality natural materials evoke – you’ll easily understand what sets us apart. Impeccable taste is often reflected in the details – and your outdoor event produced by Sperry Tents Seacoast is no exception. Lighting is the jewel in the crown of your event venue and we offer the most gorgeous options to appropriately complement the investment you have made in the very best sailcloth tents and wood floors. Clients are continually pleased what is possible to light their signature event. Candelabras can be mounted to achieve the desired illumination with a classic ambiance. And, many of our clients appreciate the oceanic style of our nautical onion lighting. We also offer stylish bistro lighting or Asian lanterns to produce a full spectrum of looks. Our variety of creative lighting options give you the flexibility and option to fully realize a complete look that brings the event of your dreams to life.